Gone are the days of Scramble, Monopoly, and ol Snakes & Ladders. The modern days call for more complex and intriguing plots, so let the games begin! P/S: Settlers of Catan not included, I’m sure you people already have it stocked on your shelves. A straight-up strategy game, players get to recreate the journey of Marco Polo across the Silk Road and Coastal Asia. Played over five rounds, the act of rolling dice can be used to trade resources and lock down trade agreements – while collecting as much points as possible. A weird mix of luck and some clever thinking on your part is all you need to emerge victorious! Tell me, do you like smashing things up? With the ultimate goal to become the last monster standing, rolling the dice determines your next act from inflicting damage to opponents, healing yourself and many more. Do enough damage and you might just earn yourself a ‘Fame’ status akin to a superstar, so best enjoy it while you can! 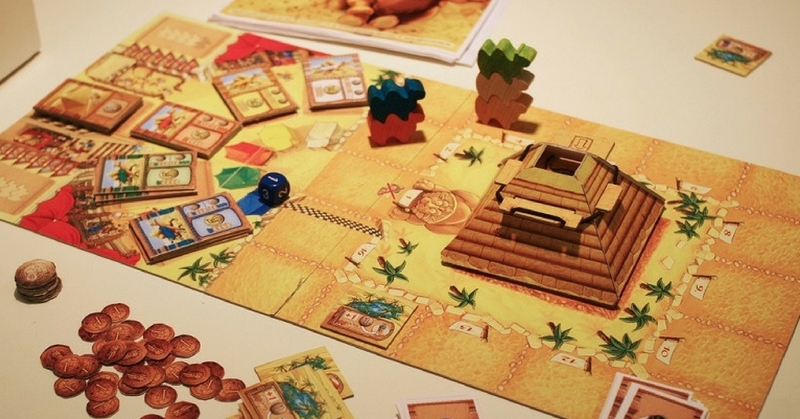 Essentially a betting game at its core, Camel Up dishes out a thrilling ride that’s both enjoyable to children and adults alike. The guessing game of which camel will emerge victorious is made even more entertaining with the stackable camels, making it an insanely fun 30-minute game to play with the troops. In an archetypal Good against Evil plot, Avalon is fashioned similar to the Mafia game often played in schools. Players are randomly assigned a character from the cards, and while the forces of evil are few, they will be known to each other through an introductory round where all players go to sleep with the exception for certain characters who will be told to ‘wake up’. Overall a game of deceit where bad liars are often weeded out in no time, Avalon is simply perfect for a mind-boggling gaming session. Full time content writer, with the occasional bouts of random musings. Loves everything from fancy-schmancy cafes to typical kopitiams, as long as the food is good. Other than that, she spends most of her time being a couch potato.